Step 1: Download iOS 4.0.1 for your version of iPhone. Download links are posted here. 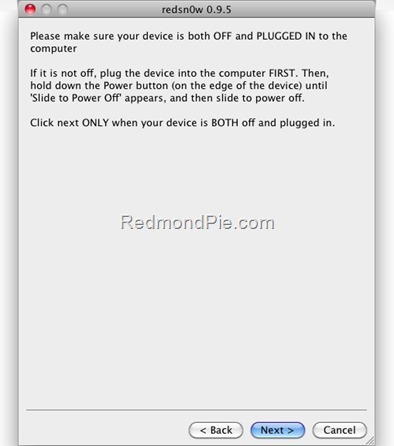 Step 3: Start Redsn0w 0.9.5b5-5 (download link given below) and point it to iOS 4 (Final Version), and not iOS 4.0.1 firmware file to proceed with the jailbreak. Step 7: Sit back and enjoy while redsn0w will do all the rest for you. Once done, your iPhone and/or iPod touch will restart automatically and you will find it jailbroken on the latest iOS 4.0.1 firmware. 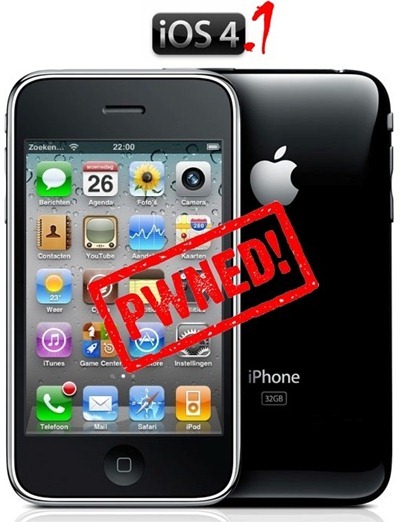 Follow the complete step by step guide posted here to unlock iPhone 3G, on iOS 4.0.1, on any baseband using Ultrasn0w 0.93. 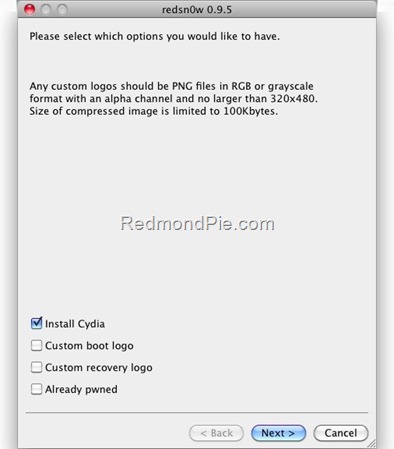 Negative for 3gs with ios 4.0 or ios 4.0.1. redsn0w gives “unable to recognize specified ipsw” . I have been frustrated for the last 3 weeks. Hope every post on this forum included the iphone model number and iOS version, so each user can filter out their relevant post. If you guys actually read the instructions, it says this works for iPhone 3G only. iPhone 4 and iPhone 3GS will have to wait. You could save yourself 3 weeks of frustration by spending 5 seconds to read the directions. same thing is happenin to me. Do I restore and try agina? I cant send MMS after jb. In settings there isnt even an option regarding MMS.. How can I fix it? I had the same problem redn0w crashing during rmdisk process. This is how it worked for me after trying like 10 times. I opened up Task Manager and End Process on anything related to iTunes or Apple. Then run Redsn0w and as soon as you let go of the Home button you'll see AppleMobileDevice popping up again. End Process that again right away. Then strangely it worked for me. It works like a charme on an iPhone 3G but youtube still doesn't work. I can't find the firmware update from apple on my windows after i download the new iOS. the zip file i got from apple doesn't have a .ispw file in it where the hell is it? Will this new Redsn0w will unlock iPhone4 locked for AT&T? Has anyone done this? I have been trying to jb 3G w ios 4.0.1 from itunes. When I try to restore shift to use the downloaded firmware 4.0.1 itunes error message pops up stating that it is not compatible. RedSn0w freezes at waiting to reboot everytime. Does anyone have suggestions? Desperate, Thanks! I have same issue, if you found what cost it please tell! will this hacktivate the iphone 3g??? Once the countdown starts for the home button (after releasing the power button), don't release it until the program says “Done!”, and you can click finish. The program stopped working every time I released the home button but I found that this was the problem for me one the third try. Hi, I have the same problem. redsn0w freezes at “waiting for reboot” no matter if I have the Home button pressed. I have IOS 4.0.1.
does it has to be oldbootrom? Just put it in dfu mode or restore mode or whatever its called and use a different firmware. everyone not so confident at this go to jailbreakme.com on ur iphone, and it breaks it from there :), and think it ulocks too with ultrasnow? hi guys can some 1 plz explain this? now what does this step3 mean that select final version and not 4.0.1? ok if i download the ipsw from here and load it on my iphone, then what do i do?just goto redsnow and select the same file and jail break? Redsnow on mine keeps telling me unable to recognize ipsw. I have followed all instructions on downloading and installing firmware and redsnow. I have redsnow 0.9.3 and firmware 4.0.1 what else is there?? Dear Friends, Just go to jailbreakme.com from your iphone and follow the instruction. You do not need to do anything. Cheers! guys please help me….an unknown error occurred (-50)…. 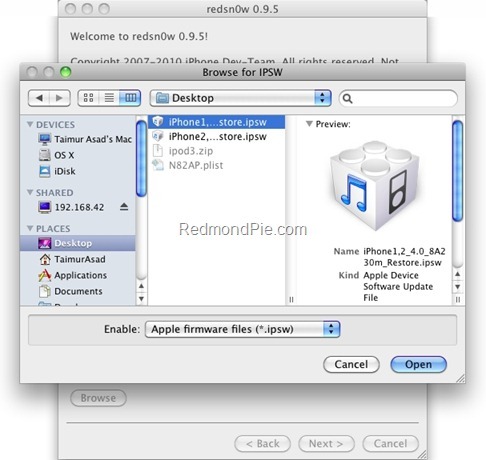 You need to download IOS 4.0 and 4.0.1 then install 4.0.1 to your iphone, but when you run Redsn0w 0.9.5 you have to select IOS 4.0 file ( not 4.0.1 ) and just follow the instructions, makesure your IOS’s file its .ipsw extension, remember that at this time IOS 4.0.1 work only for 3G. you probably have an MC model…it’s the same case as mine. redsnow 0.9.5 doesn’t work on MC models. go to settings, general, about, then look in your model. if your first two letters are MC, then it’s an ‘MC model’. they are late 2009 models that are super stupid and unjailbreakable i guess, i’ve been struggling with mine for awhile. I have a 3GS with Software Version 3.1.3 Can you tell me how I can get software version 4.0.1 now? Because in ITunes it now has the update for 4.0.2. I want to Jailbreak after I get the 4.0.1 version. Does this need the original sim? because i have iphone 3g purchased overseas and it was jailbroken and i accidently upgraded the software to os 4.0.1. so i need to jailbreak it without requiring the orignal sim? Can “Redsn0w 0.9.5b5-5” hactivate iphone 3g? I need some help at this point. I have installed the IOS 4.0.1 in my iphone 3G, had downloaded the iphone1,2_4.0_8A293_Restore.ipsw and when i run redsn0w 0.9.5b5-5 and select the right file (i guess ) it says “Unable to recognize specified IPSW” Please help me, I’ve trying this many times, following different ways and can’t unlock my iPhone. Thanks for your time. WOW!! This really works! THIS is the BEST Jailbreak that I ever did before! And I been doing it forever!! Thank you so MUCH! !